In the article “Substrate properties modulate cell membrane roughness by way of actin filaments” Chao-Hung Chang, Hsiao-Hui Lee, and Chau-Hwang Lee employed the non-interferometric wide-field optical profilometry (NIWOP) technique to measure the membrane roughness of living mouse embryonic fibroblasts with different conditions of the culture substrate to find out whether membrane roughness is associated with the substrate properties. 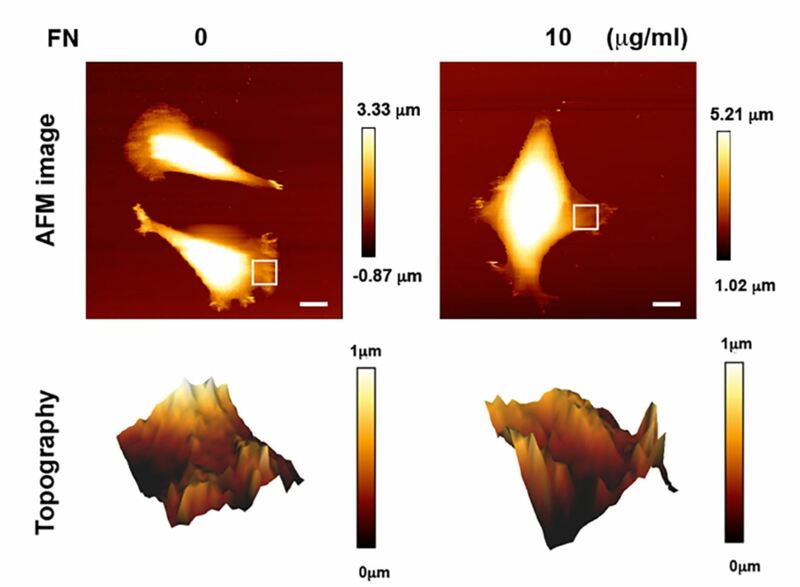 By controlling the surface density of fibronectin (FN) coated on the substrate, they found that cells exhibited higher membrane roughness as the FN density increased in company with larger focal adhesion (FA) sizes. The examination of membrane roughness was also confirmed with atomic force microscopy. The long cantilever of NANOSENSORS uniqprobe qp-SCONT AFM probes ( 125-μm long, spring constant 0.01 N/m.) was used to observe the membrane topography on living MEFs. 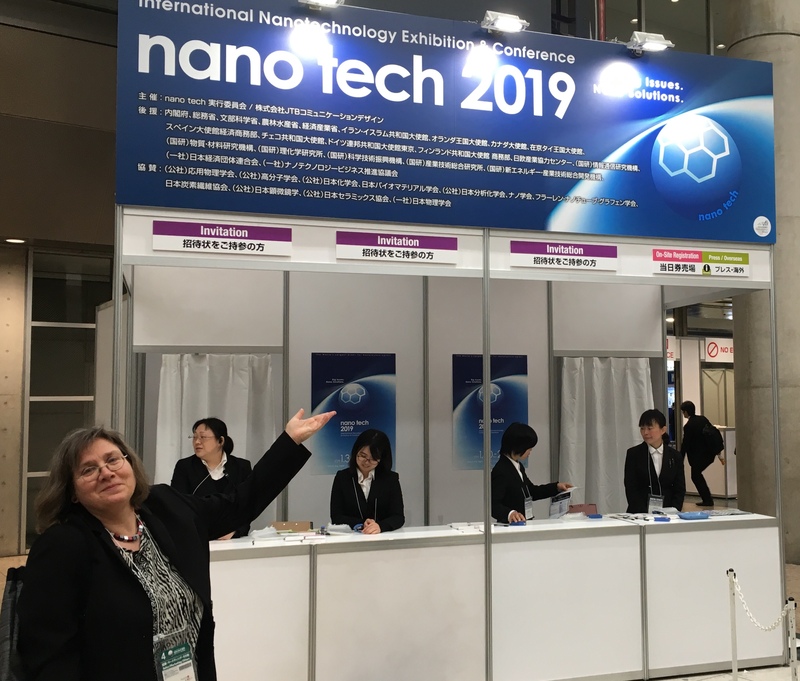 If you would like to learn more about the NANOSENSORS uniqprobe AFM probes series which offers soft, drift-reduced AFM probes with unsurpassed small variation in spring constant and resonance frequency mainly for biology and life science applications but also for other aplications such as high speed scanning then please have a look at our recently updated Uniqprobe brochure: https://www.nanosensors.com/pdf/NANOSENSORS-uniqprobe-brochure.pdf . Supplementary Figure S1 from Chao-Hung Chang et al. “Substrate properties modulate cell membrane roughness by way of actin filaments”: Images of membrane topography determined by atomic force microscopy (AFM). 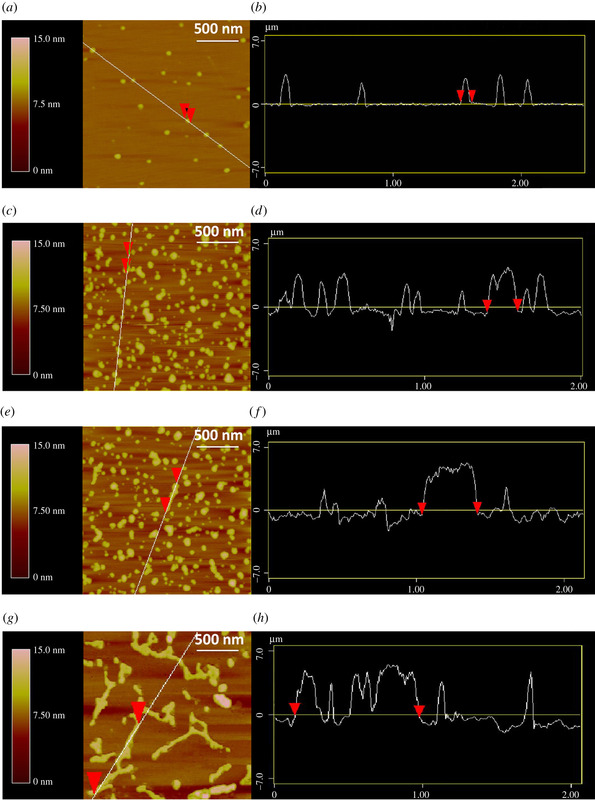 MEFs were seeded on the polymer coverslip-bottom μ-dishes coated with 0 or 10 μg/ml FN for 6 hours for the measurement of membrane roughness by AFM. The regions marked by the white squares in the bright-field images are displayed in the membrane topography. Scale bar, 10 μm. Open Access The article “Substrate properties modulate cell membrane roughness by way of actin filaments” by Chao-Hung Chang et al. is licensed under a Creative Commons Attribution 4.0 International License, which permits use, sharing, adaptation, distribution and reproduction in any medium or format, as long as you give appropriate credit to the original author(s) and the source, provide a link to the Creative Commons license, and indicate if changes were made. The images or other third party material in this article are included in the article’s Creative Commons license, unless indicated otherwise in a credit line to the material. If material is not included in the article’s Creative Commons license and your intended use is not permitted by statutory regulation or exceeds the permitted use, you will need to obtain permission directly from the copyright holder. To view a copy of this license, visit http://creativecommons.org/licenses/by/4.0/.